Rocket Pig Games is a leader in the 3D printable modular terrain industry and has recently added a full line of 3D printable miniatures into their repertoire. Our modelers and designers have years of industry experience and our lead has over 20 years of 3D modeling expertise. 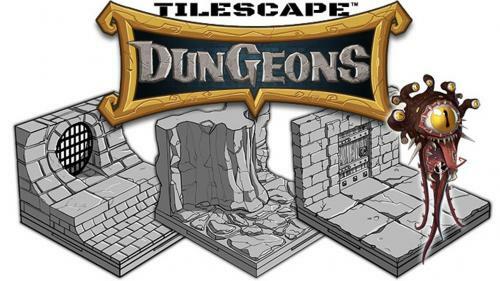 Our first Kickstarter for Tilescape: Dungeons is now available in our store, www.rocketpiggames.com. 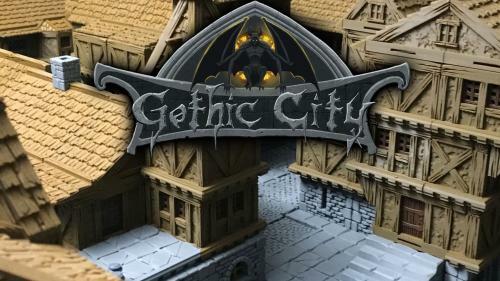 3D print modular terrain GOTHIC CITY w/ Tilescape 2.0. High definition wood and stone textures, epic beasts, & a legendary roof system! 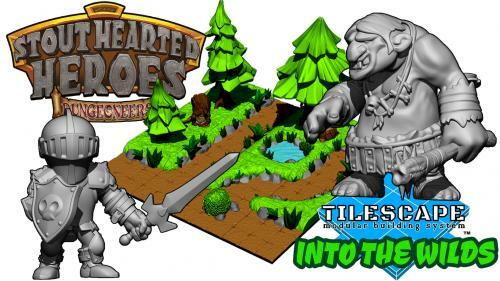 Welcome to the world of Stout-Hearted Heroesâ¢ The FIRST and ONLY 3d printable line of 30mm tabletop miniatures! Tilescape™ is a 3D printable terrain system that is designed for any types of miniatures from 28mm up to 32mm heroic-sized.